Central Bank announced that money supply aggregate M0 (currency in circulation + currency at banks) decreased by 1.0% from AED 60.0 billion at the end of May 2013 to AED 59.4 billion at the end of June of the same year. Money supply aggregate M1 (currency in circulation plus monetary deposits, i.e., current accounts and call accounts at banks) increased by 1.6%, from AED 341.4 billion at the end of May 2013 to AED 346.7 billion at the end of June of the same year. 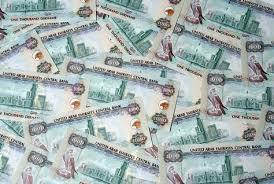 Money supply aggregate M2 which comprises of M1 and quasi-monetary deposits (resident time and savings deposits in Dirhams, commercial prepayments in Dirhams and resident deposits in foreign currencies), increased by 1.3%, from AED 917.9 billion at the end of May 2013 to AED 929.8 billion at the end of June of the same year. Money supply aggregate M3 (M2 plus government deposits at banks operating in the UAE as well as at the Central Bank) increased by 0.6% from AED 1,174.9 billion at the end of May 2013 to AED 1,182.5 billion at the end of June of the same year. Total bank deposits increased by 0.7% during the month of June 2013 to close at AED 1,255.6 billion, as a result of an increase in resident deposits by 0.8%. T otal bank loans and advances (net of provisions and interest in suspense) increased by 1.4% to reach AED 1,147.4 billion, and total bank assets increased by 0.2% to reach AED 1,878.1 billion, at the end of June 2013.